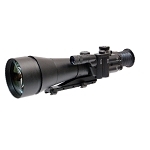 Night Vision Riflescope GS-24R, magnification 4X represents a combination of years of experience and the latest technological developments. The all new design utilizes space-age materials to reduce weight and improve recoil resistance. 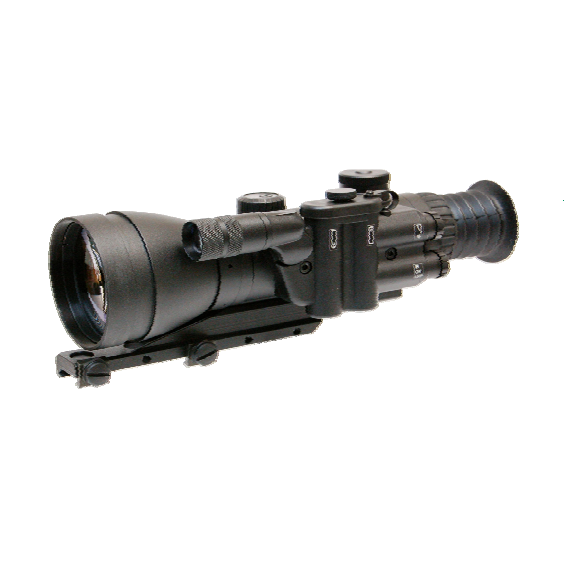 Standard features include a waterproof housing, Mil-Dot illuminated "cross har" reticle, high grade multi-coated optics, and a low profile heavy-duty Weaver mounting system. With guaranteed zero retention on heavy caliber weapons (including .50 BMG class), these are the systems of choice among Military and Law Enforcement professionals.